There is one day in Catalonia that everyone agrees it is the best day of the year. Sant Jordi’s (Saint George) day (23rd of April) is maybe the most international celebration that Catalans have. All the country has a special atmosphere. In this day we commemorate Sant Jordi’s legend giving away roses and books. Sant Jordi is the Catalan Valentine’s day. Once upon a time in the small village of Montblanc people were living with fear. In the near mountains there was a dragon and for many years it was devouring people and destroying houses and yards with its fire. One day the King decided that the only solution was to make the dragon stop feeling hungry by giving to him one person each day. This person had to be chosen at random. The coincidence made that the first person to be chosen was his daughter, the princess. Everyone in the village was sad because they loved their princess but the King, faithful to his decision, brought her daughter to the dragon cave. The sob of the princess, alone in front of the dragon, stopped when a knight came with a white horse and nailed the spear in the dragon. He killed the dragon and saved the princess. His name was Jordi. The King, thankful to the knight, decided to offer his daughter for marriage. But Jordi didn’t accept and left. There, where the dragon was killed, the blood leaked out into the soil making a rosebush to grow with the reddest roses in the world. Since then, the tradition is that the man gives away one rose to the beloved woman and the woman gives away one book to the beloved man. (Giving away books was added to the tradition in the 30s). Nowadays many men buy also a book for their beloved women but men still don’t receive a rose. This is the excuse to make the biggest day of the year. The streets are crowded with people searching for the best rose or the best book among hundreds of stands in the street. Cultural performances and contribution from all the Catalan society can be found everywhere in different manners. We have tried to catch the atmosphere and feelings of Sant Jordi’s day in the Catalan’s capital: Barcelona. Although every year we have already bought our books in advance, this year we decided to do it in the city center, in the old quarter, during the day. So we had breakfast at home, took the bus and start our route in the heart of the city: Plaça Catalunya. From here we went to Les Rambles, maybe the most famous avenue in Barcelona. It connects the city center with the old port and crosses the old quarter. In both sides of the street there were many book stands and thousands of people trying to find the best book to buy. – Roses, roses, beautiful roses for you girlfriend! – shouted one woman, trying to sell. We took a look to those roses but, sincerely, they were not as beautiful as we expected. So, no worries, there was an entire morning to buy the most beautiful rose for Laura. Meanwhile we decided to take a coffee. Crowds of people make you feel stressed sometimes, so we thought it was a good idea to taste what people say it is the best coffee in Barcelona! 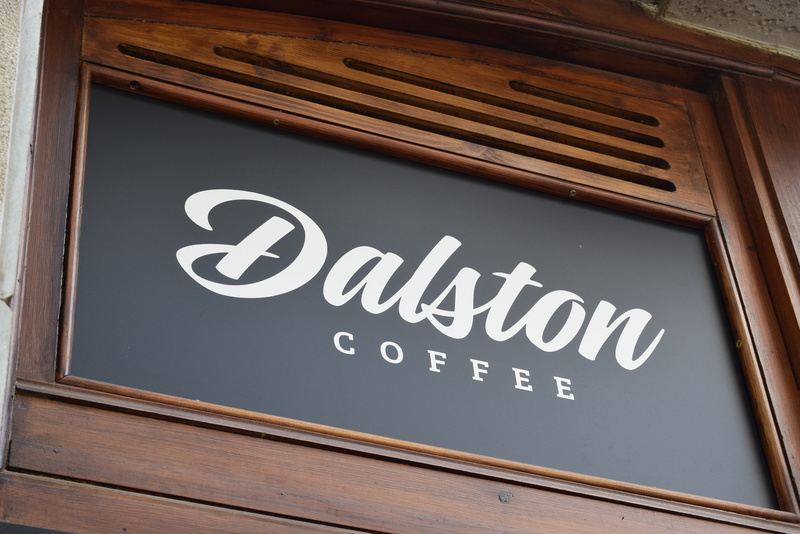 Dalston Coffee can be found in Carrer de les Ramalleres, close to Les Rambles. It is a small coffee shop, if you walk fast through the street you may miss this place. It is a tiny, cozy and cheery place. There are only three or four stools so most of the people take away the coffee cup. And why has this place so much fame among local people? The coffee they use has been toasted in Barcelona, which means that all the toasting process is less aggressive because it is not needed for conservation purposes. Properties of the grains are better maintained and flavors and smells are well preserved. 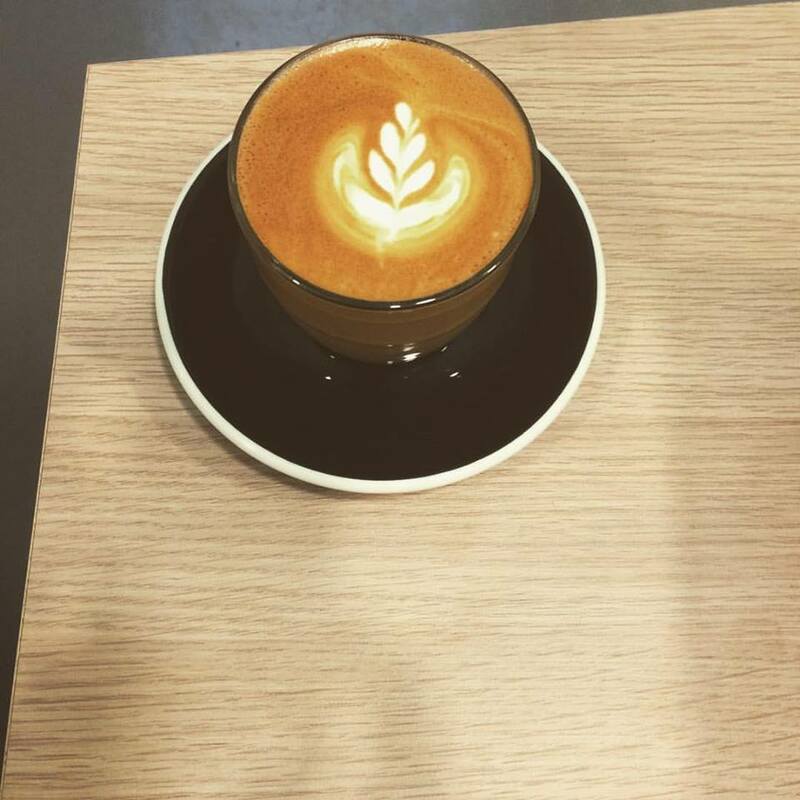 This, together with the know-how of the barista and an accurate choice of fresh milk makes it, in our opinion, the best coffee of the city. After having had our coffee with milk and with energy to crash into the crowds again we got in a book shop. It was time to search for a book. Among many other people doing the same as us, we, separately, were searching for the best choice. I took a philosophy book and Laura took a novel. Half of the puzzle was built but… what about the rose? Laura is so perfectionist that we know she wouldn’t accept the first rose of the first stand out of the book shop. So, we went again to Plaça Catalunya and start walking through Passeig the Gracia. This avenue is the most expensive street in Catalonia and one of the most expensive in Europe. Luxury firms and high quality restaurants are situated in both sides of the street. Two do-not-miss hotspots from Barcelona, Gaudí buildings by the way, can be found in this avenue: Casa Batlló and La Pedrera. Casa Batlló was dressed with roses in the balconies, making more beautiful this building than it is normally. And as you may know, Gaudí designed this building as a dragon. If you enter the building you will realize that you are inside of a dragon. You see its bones, the lungs… Gaudí was a genius! From outside you can see the scales of the dragon skin at the top of the building. A dragon building dressed with roses for Sant Jordi. Just perfect. And it was here, in front of Casa Batlló where I found the perfect rose for Laura too. From there we took the metro and went to Plaça Espanya to have lunch in Las Arenas. This is an old bullfighting plaza reconverted to a shopping mall. From the top of it you have one of the best views of the city and Montjuic, the Olympic mountain. We went there because we had tickets for the B-Travel congress which took place just in front of the shopping mall. We already know our summer destination. We are organizing accommodation, visits, activities and all that we want to do in our summer travel. And this is why we came to B-Travel in Sant Jordi’s afternoon. You don’t know yet the destination but we will tell you about it in a future post. Meanwhile you can look to our twitter account where every week we post some clues to identify it. The game consists in identifying a place by just watching satellite images. I would say it is not a common destination, it is full of virgin places, somewhere only suitable for adventurers. Do you guess our next destination? Hey! Glad you liked it and very happy you are coming to Barcelona next summer 🙂 If you need tips, help or you want to discover unique places just reach out to us! You’ll be welcome! What a fascinating story about Jordi and the princess! And I was wondering why Casa Batllo had roses on it when I saw a pic on IG the other day! April 23 is important in Germany because that’s the day, in 1516, that a Beer Purity Law went into effect….so you know how important this day is for beer loving Germans! Nothing as romantic as your story! Thanks for linking up with #TheWeeklyPostcard! We should think about mixing Sant Jordi with beer! It would suceed and break borders 🙂 Thanks for you comment again Cali! What a great time to be in Barcelona. I love this tradition and Casa Battlo looks so pretty. Thanks for sharing on #TheWeeklyPostcard. Yes! It is the same saint 🙂 We share many background history and legends with UK. What a fun celebration – although, I think I’d rather receive a book than a rose! Casa Batlló with the roses all over is beautiful! Hahaha yes! We fortified it with coffee, books and a rose 😀 . And yes, when you come to Barcelona you must visit Casa Batlló. It is not a joke that you can see the bones inside the building. In fact, the stairs inside are the spine. Hope you can visit it soon. Thanks for your comment! Missing my trip to Barcelona and stumbled upon this post! Didn’t know about Saint Jordi’s Day nor the story, it’s fascinating! The Rambles was so busy without any festivity already lol, can’t imagine being there on that day. Hi. I have already been acquainted with the celebration of Sant Jordi by you, Didac and your family but it was great to have gone through the whole thing once again. Thanks for bringing my memories from my wonderful visits to Barcelona back. The post once again has made me realise how dear and important this place seems to me. Thank you both for this very informative and intetesting blog. I reckon I will treat it as a meeting place with you as often as possible. See you😉. Glad you liked it 🙂 Thanks for your comment!